Perhaps it says as much about the questions as it does the answers, but don't expect the Bucs to ignore the linebacker position in this season's NFL draft. 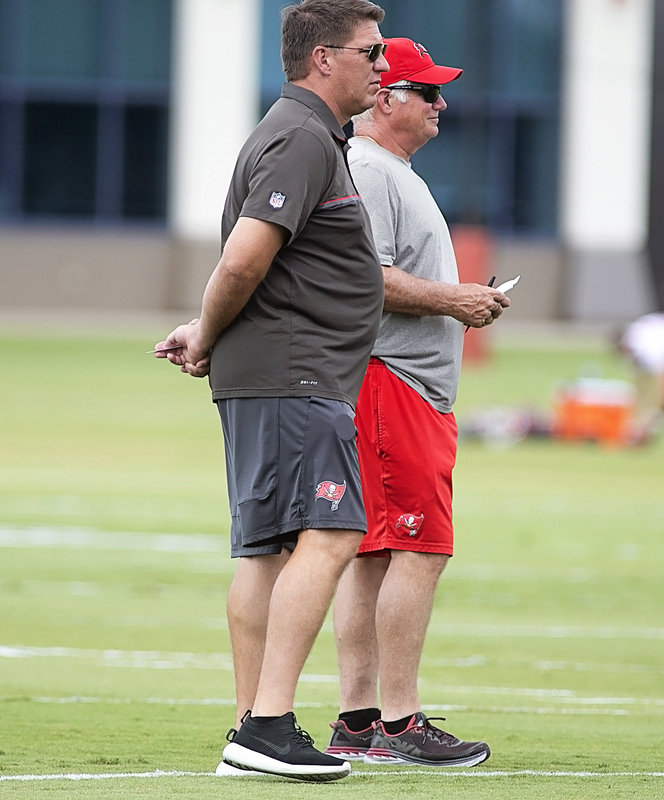 Bucs' general manager Jason Licht had his annual say-little pre-draft press conference Tuesday, an exercise in muddying the water, and a great deal of the questions centered about inside linebacker, where Davin White of LSU and Devin Bush of Michigan are expected to be available. The Bucs, who lost Kwon Alexander to free agency, could use a dominant inside linebacker. Yeah. But a linebacker? Fifth? Would you take one that high? “You’re thinking that he’s going to be a special player and make an impact," Licht said. "To say that he’s Ray Lewis, I think that that’s a little tough to say. Licht addressed other subjects, as well. “You know, that’s hypothetical. Right now, we are focused on the draft. It will be interesting to see if McCoy will be traded. He would free up much needed cap space. I have not been impressed with him based on his draft position. He is good not great and still goes AWOL in games. The Bucs are not going to the super bowl this year so lets get something good for him. I think McCoy is a fine player. It’s hard to dominate from defensive tackle, though. I would make the move to release him, however, just for cap relief.